Pankil Villas is one of the residential development of Prestige Group, located on Waghodia Road, Vadodara. 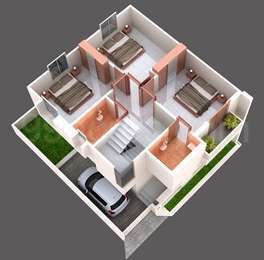 It offers 4BHK luxurious villas. Project has been designed to facilitate perfect living conditions with optimum light, ventilation and privacy, coupled with fresh and green surroundings, each villa brings the joy of unhindered living. Where is Pankil Villas located? Waghodia Road, a prime residential locality for house seekers in Vadodara. Does Pankil Villas have badminton court? The project doesn't have a badminton court. Does Pankil Villas have lawn tennis? The project doesn't have lawn tennis. Does Pankil Villas have car parking? Car parking is available in the project. I have heard about Sai Shakthi Avhni poroejct in Jakkur. If anyone has more information about this project, please provide. I want to buy a 2BHK flat here for investment purpose. Sai Shakthi Avhni is an excellent property with all necessary amenities. The quality of construction is outstanding. The materials used for the construction are of top class. The location of the property is the best location with good connectivity to all places. Manyata Tech Park is few meters away. Their construction is good with the following features: Design as per Architect & Structural Engineer. Smooth plaster on inside walls and putty on outside walls with sand face plaster and paint. Vitrified tiles in all rooms. Decorative main door with SS sink and all internal doors will be good quality proof flush door. Glass window with safety bars. Granite Kitchen platform. Ceramic tiles flooring & fully decorative glazed tiles. UPVC plumbing with Quality fitting. Underground & Overhead Tanks. Individual RO system. Concealed copper ISI Wiring.